Mamelodi Sundowns cruised to a comfortable 7-1 aggregate victory over Leones Vegetarianos to book their place in the Caf Champions League first round. TFGSoccerClub writer DYLAN APPOLIS picks out five things we learned from the encounter. Masandawana gave their chances of progression a major boost as they walked away with a 2-0 win over Vegetarianos in Equatorial Guinea last week. This saw Sundowns head coach Pitso Mosimane opt to rotate his squad as he brought in Kennedy Mweene for the injured Dennis Onyango, while Rivaldo Coetzee was forced to settle for a place on the bench, despite him starting the last two games. Meanwhile, Jeremy Brockie and Themba Zwane to continue to lead the attack alongside the likes Gaston Sirino and Lebohang Maboe, while Oupa Manyisa came in for Andile Jali. 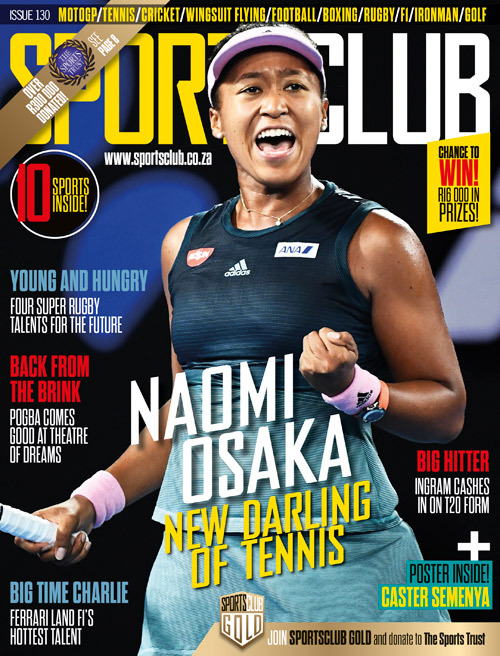 Following his slow start to the new campaign, the New Zealand International has slowly began to show a glimpse of his former form by scoring in consecutive matches. 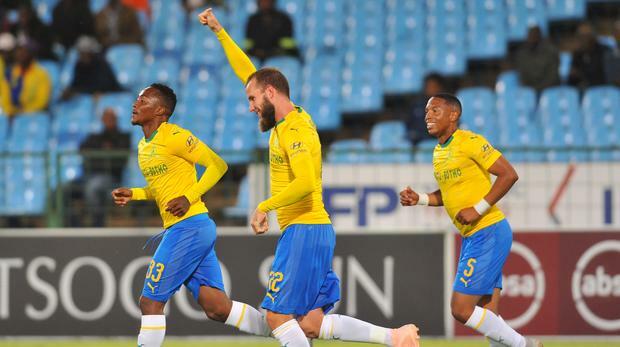 Brockie, who scored a world class goal in the preliminary round first leg, managed to double his tally agains Leones in back-to-back fixtures. The Sundowns forward look a player in form on the day and played crucial for the Brazilians on and off the ball going forward. If he continues his red-hot form, he will surely boost Sundowns chances of going all the way in the continental competition. Although Sundowns dominated proceedings throughout the match their only downfall was conceding a goal early in the second half due to a lack of concentration at the back. They have now managed to concede 11th goal thus after Leones’ Seydou Sall showed great composure to hold off the Sundowns defenders to place the ball beyond Mweene. Coach Pitso Mosimane would be deeply disappointing at conceding so early in the second stanza, costing them their clean sheet as it gave the visitors a glimmer of hope which could have spark Vegetarianos to make a famous comeback. However, the Tshwane giants continued to stamp their authority for the entire game to claim a well-deserved victory at Loftus Versfeld Stadium. The Brazilians have now managed to score seven goals in two games against Leones and are looking in their element in the Champions League. Having scored two in the first leg, Sundowns did one better by putting five past the Equatorial-Guinea outfit with in form players Brockie, Themba Zwane, who both found the net in the first leg, finding themselves on the scoresheet once again, while captain Hlompho Kekana, Jose Ali Mesa and Lyle Lakay rounded up the scoring in the second to help Sundowns advance to the next round of the competition. The 28-year-old has recently been in impressive form for Sundowns and with the quality and depth in the Brazilians squad, it has not easy to secure a regular place in Pitso Mosimane’s line-up. Zwane proved his worth in the squad and showed why he should be a regular starter for Masandawana after expressing himself on the field while showing his influence up front alongside Brockie and Sirino. Masandawana thrashed the Equatoria Guinea outfit 5-1 in the second leg to secure their spot in the first round of the tournament. They will now face Egyptian side Al Ahly Benghazi for a spot in the group stages.